What a fantastic post! It has made me worried, which is stupid! Tia is only 18 months old and a long way from school. But I was bullied for years in secondary school for wearing basic un branded clothes. I hated going to school, I want Tia to enjoy school and have lots if friends. Like you, I remember not being that confident as a teen. It was partly because I changed schools at 13 – so had to infiltrate a class where everyone had already made friends. I masked my lack of confidence with attitude and sarcastic put-downs. Nice. Now I look back at the girls who were the most popular in my class, they were not the prettiest, the most fashionable or even the most sporty (although that helped in my school). They were the ones who were confident in themselves and open and straightforward in their dealings with others. That’s what I want to pass on to my son. By straight – be honest – be confident in who you are. And don’t resort to sarcasm. It’s not the best way to make friends! This really touched a sore spot with me. I too hated school and was very much on the fringes. I experienced bullying which has unfortunately shaped the whole rest of my life so far. My oldest son is heading off to high school after the summer, and I’m frightened for him. He reminds me so much of what I was like at that age, and is also starting to struggle with fitting in. I try to build him up to be happy in who he is, because I think my main struggle at school wasn’t that I was “uncool” but rather that I tried to fight against that and try to be like the “cool” kids. 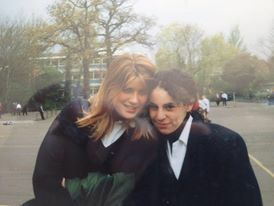 If I had embraced who I was, connected with others like me, then I think I’d have been happier and ultimately less of a target for the bullying I experienced. You know it’s funny how this post resonated with me as one of those seemingly uncool kids at school who also had just enough confidence to do as he pleased (and followed his dreams). 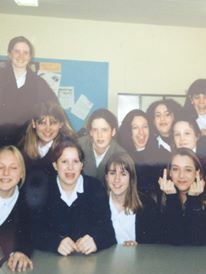 I was subjected to bullying for all of my time at secondary school and also to a certain extent, during 6th form too…. I wonder if everybody is “bullied” in one way or another and if it’s simply Darwinian? If that is the case then all our kids will be subjected to bullying too. However, all is not lost because, like us, they also contain the potential to overcome this environmental adversity to survive. Maybe not completely unscathed, maybe with occasional bruising or scars (seen and unseen) but knowledgeable about themselves and the ways of others…survival of the fittest. I do believe we have a responsibility to protect children from bullying and I do harbour doubts that schools are equipped to deal with the potential of social media and technology’s potential to extend the reach of bullies but I also remember vividly choosing not to burden my parents with the worst aspects of my school experience for fear that I would have been re-schooled or exposed myself to further ridicule and harassment. I also had good friends – some of whom are friends today even after all these years and many thousands of miles of separation. This again reminds me that there is hope for our kids because they too will be resourceful and able to find strength in their close friends. In my humble opinion, observing the way my son behaves I know that our parenting has so far been OK, not brilliant, nor terrible, but good enough to ensure that he knows right from wrong. Fundamentally this will remain a principle that he understands and whether he chooses right or wrong; he will know which he is choosing. I won’t truly worry as long as my children are friendly and have friends.